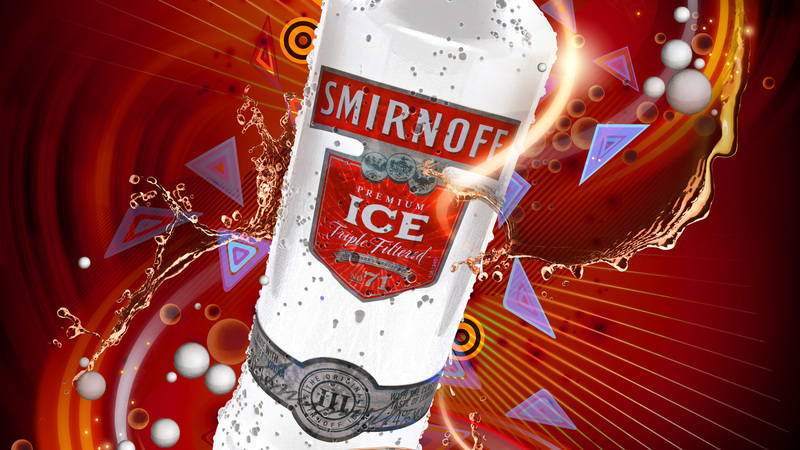 A.k.A were commissioned by leading ad agency in Asia to create some promotional artwork for Smirnoff Ice. 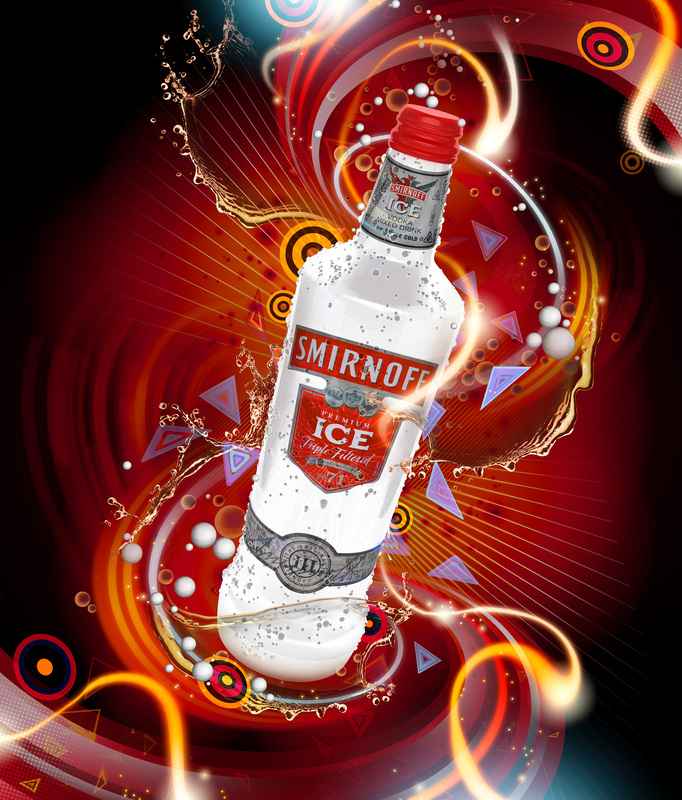 The colours are in contrast to the coolness of the product, as the emphasis was on the product being cool and refreshing in a hot environment. Our main brief was to emphasise this aspect. 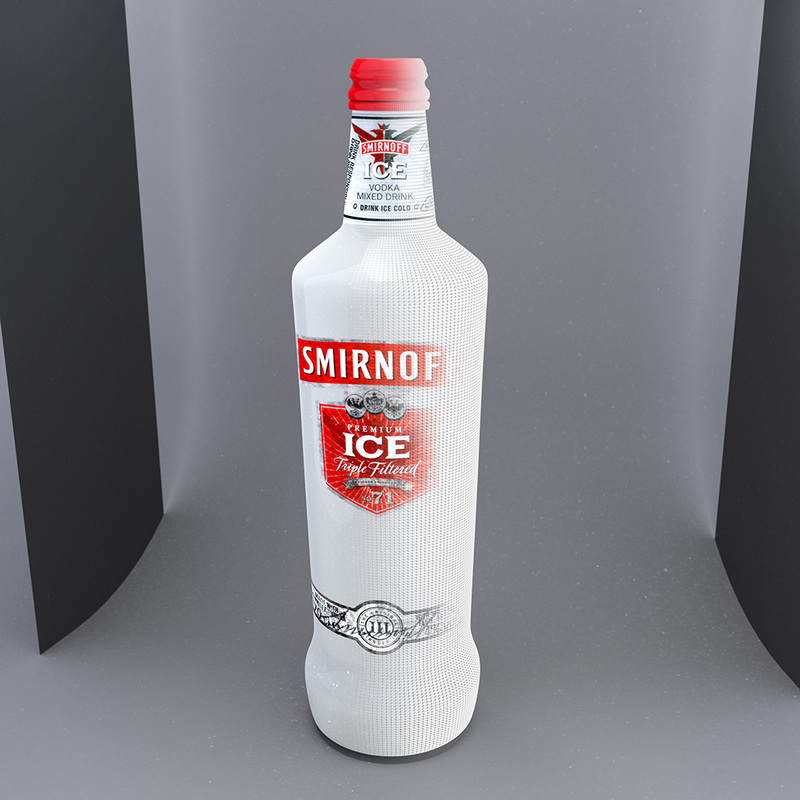 The artwork contained vector elements, some particle/liquid simulations along with some 3D elements including the bottle. These aspects were married together with various vector elements and warm tones. There was a turnaround time of four days from start to finish. As with many of our pieces we use a state of the art virtual studio for our modelling which often include highly elaborate lighting rigs with a variety of lighting setups. We also include a wide aspect of other studio techniques when creating most of our 3D elements including reflectors, panoramic backdrops and a whole host of other elements. In reality this gives us more creative scope than a photographic studio for our still life work.